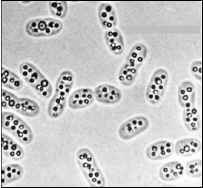 The purple bacteria are Gram-negative organisms that appear red, orange, or purple due to their light-harvesting pigments. Unlike other anoxygenic phototrophs, the components of their photosynthetic apparatus are all contained within the cytoplas-mic membrane. Invaginations in this membrane effectively increase the surface area available for the photosynthetic processes. 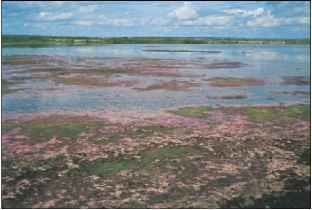 Figure 11.5 Purple Sulfur Bacteria (a) Photograph of bacteria growing in a bog. (b) Photomicrograph showing intracellular sulfur granules. 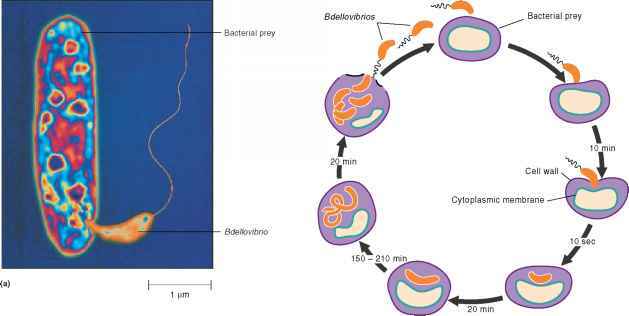 5 mm in diameter, and some are motile by flagella. They may also have gas vesicles, which enable them to move up or down to their preferred level in the water column. Most accumulate sulfur in granules that are readily visible microscopically and appear to be contained within the cell (figure 11.5b). The purple sulfur bacteria preferentially use hydrogen sulfide to generate reducing power, although some species can use other inorganic molecules, such as H2, or organic compounds, such as pyruvate. Many species of purple sulfur bacteria are strict anaerobes and phototrophs, but some can grow in absence of light aerobically, oxidizing reduced inorganic or organic compounds as a source of energy. Representative genera of purple sulfur bacteria include Chromatium, Thiospirillum, and Thiodictyon. The purple non-sulfur bacteria are found in a wide variety of aquatic habitats, including moist soils, bogs, and paddy fields. One important characteristic that distinguishes them from the purple sulfur bacteria is that they preferentially use a variety of organic molecules rather than hydrogen sulfide as a source of electrons for reducing power. In addition, they lack gas vesicles. If sulfur does accumulate, the granules form outside of the cell. Purple non-sulfur bacteria are remarkably versatile meta-bolically. Not only do they grow as phototrophs using organic molecules to generate reducing power, but many can use a metabolism similar to the purple sulfur bacteria, employing hydrogen gas or hydrogen sulfide as an electron source. 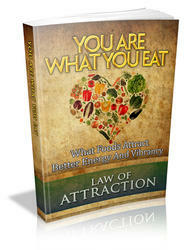 In addition, most can grow aerobically in the absence of light using chemotrophic metabolism. Representative genera of purple sulfur bacteria include Rhodobacter and Rhodopseudomonas.